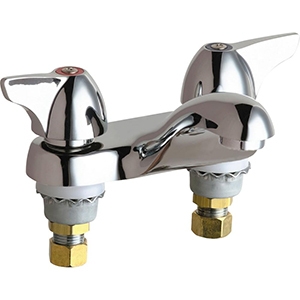 In 2010, new laws regarding lead content in plumbing products that deliver water for human consumption will take effect in states around the country. 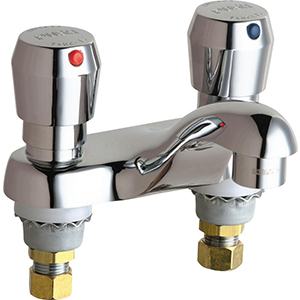 Once again, Chicago Faucets is leading the way to respond to these new low lead initiatives with ECAST™. 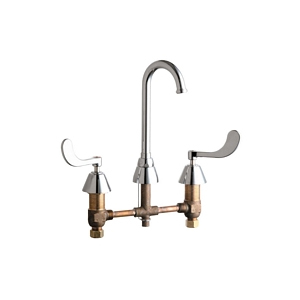 ECAST, from Chicago Faucets, is the line of durable, high quality brass faucets and fixtures that are designed and manufactured with less than one quarter of one percent (0.25%) total lead content by weighted average. These products are intended for installation in locations where state laws and local codes mandate lead content levels or where lead content is a concern. All ECAST products are 100% AB1953 Compliant. 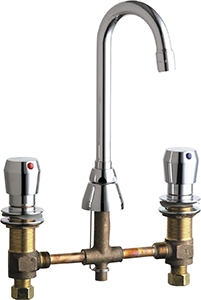 Chicago Faucets ECAST™ Drinking Fountain Bubblers are 100% AB1953 compliant for new laws in California. Chicago Faucets offers reliable and certified AB1953 Compliant deck mounted faucets for new laws enforced in California. 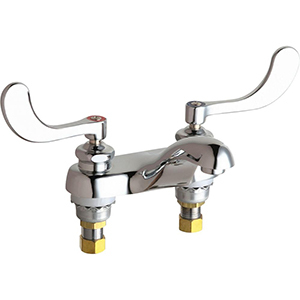 Chicago Faucets ECAST™ AB1953 compliant foot pedal valves are perfect for use in California's commercial kitchens and also conserve water. 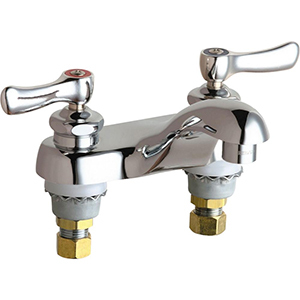 Chicago Faucets ECAST™ AB1953 Compliant supply valves are installed in-line before the faucet to ensure that the drinking water doesn't pass through any non-certified area. 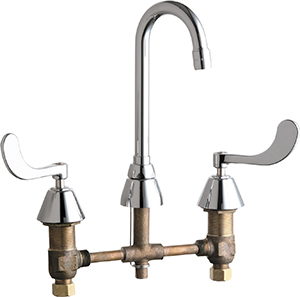 Chicago Faucets ECAST™ Wall Mounted Faucets are AB1953 certified for use in California's commercial food service kitchens.